We, as an audience have always enjoyed watching Big ticket films with Superstars in earlier years, but Indian Cinema Audience has changed over the years. People now have started accepting real cinema with realistic backgrounds and plots comprising of talented actors. In fact, in a B-town filled with people belonging to Film world families, there actors who have made a mark and cemented their place in the industry solely on their acting prowess. We, list down a few such names. 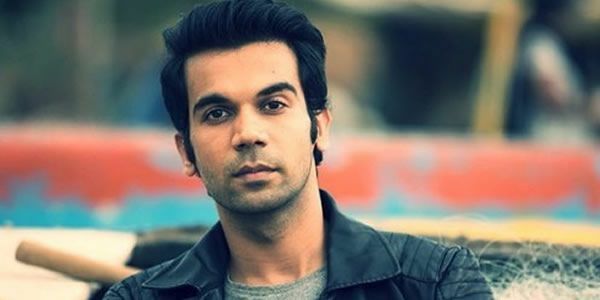 Rajkummar Rao arrived in style by bagging National award for ‘Best Actor’ in his very first solo film ‘Shahid’. The young lad didn’t stop there, he yet again stunned everyone with a stellar performance in his next film ‘Citylight’. Rajkummar has become a name synonym with perfectionist, he is known for getting into the skin of his character. The National Award winning Actor comes across as someone who works hard and does thorough research before start of the shoot. The actor having made her mark in regional cinema didn’t take time to establish a place for herself in the Hindi Film industry. Radhika also started her journey with a small character role in a Hindi film and that stint was enough for her potential to get noticed. Her major break came through ‘Badlapur’. her exceptional performance just stunned everyone. Currently the actor is working on two films, out of which one is ‘Bambairiya’ in which she will be seen playing a PR executive and the other one is ‘Mountain Man’ Opposite Nawazzudin. ‘Mohsina’ from gangs of Wasseypur, ‘Tamara’ form Ek thi Dayaan or ‘Jhilmil’ from Badlapur, these characters of Huma are still fresh in everyones mind. Thanks to her strong portrayal of each of the characters she has played till date. Huma entered the glamorous world of B-Town through Anurag Kashyaps ‘Gangs of Wassepur’.The cast comprised of seasoned actors like Manoj Bajpayee and Piyush Mishra, but her performance so strong that it caught every one’s eye and instantly started getting offers for other projects. From Being credited as ‘Criminal No1’, Pickpocketer, 1st Bandit in the start of the career to being credited as ‘Liak’ in Badlapur, Nawa has come a long way. Today, Nawaz is among the most preferred actor for Directors , when they are looking for an actor who is strong enough to portray a difficult character. Nawaz started his journey in late 90’s and used to act in films as a junior artiste, but today he has big ticket films to his name and has an impressive line up of upcoming films. Nawaz will be seen next in a Salman Khan Starrer ‘Bajrangi Bhaijaan’. Sohum Shah made in Tinsel Town on Bollywood through ‘Ship Of Theasus’, which is a critically acclaimed movie. In fact, the movie travelled to so many festivals that it gave name to Sohum Shah on international circuit too. Many well known directors from west appreciated the film and Sohum’s work. The Critically acclaimed actor will be seen in ‘Tumbad’ which is an epic fantasy based on India of 1940’s. Sohum is all set to play an anti-hero character in the film for which he has been working hard.